Withings Activity Monitor Looks Like an Analog Watch #WearableWednesday « Adafruit Industries – Makers, hackers, artists, designers and engineers! The Activité is a watch—and a handsome one at that. But its dials appear analog, not digital, and it was made in Switzerland. Unlike a traditional luxury timepiece, the display masks an accelerometer instead of cogs, to track the wearer’s steps taken and hours slept. 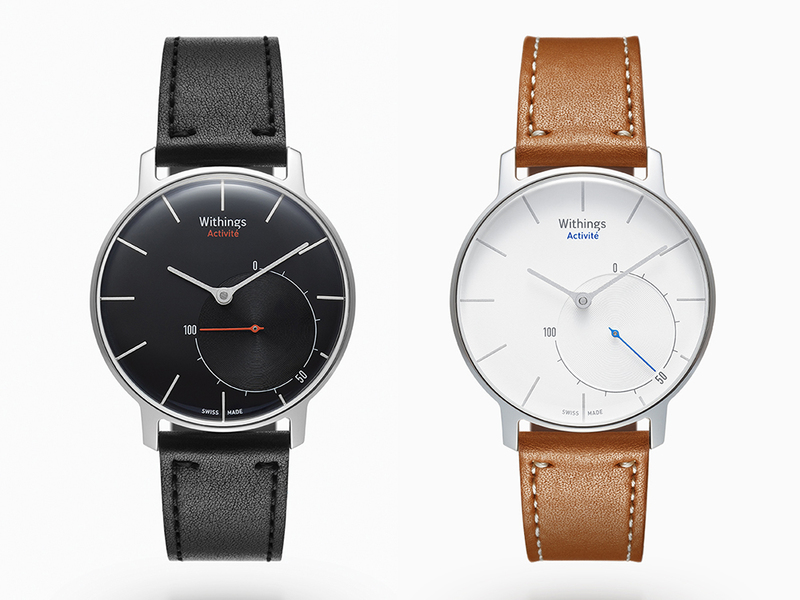 Settings provided by the user help calculate calories burned, and all of that data is streamed back to the Withings Health Mate app. The only giveaway that the Activité can do more than the average watch is a smaller, secondary dial: over the course of a day, a hand ticks from 0 to 100, showing your progress. How that progress gets defined (Did you walk at least four miles? Burn off 1,000 calories?) is up to the user, and controlled through the accompanying app.